Your tax preparation fee is not dependent on the number of forms used to prepare your tax returns. That’s old school. Rather, your fee will depend on the amount of time required to accurately and comprehensively prepare your tax returns. You can help by being organized and using our simple, customized organizer that we mail or email to you. 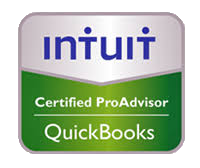 Unlike other tax accounting firms, we are comfortable giving solid price quotes and guaranteeing our work. We’ve been doing this for a while, and we know what it takes. As mentioned, not using our simple, customized organizer to summarize your receipts, transactions, notes, etc. will significantly increase preparation time and subsequent preparation fee. We might sound like your mother, but you truly are the most intimate with your financial and tax professionals- we only peer into your life for a limited amount of time in an attempt to know everything to lower your audit risk. However, we don’t mind organizing your stuff too, if asked or if needed- that’s what we do so you don’t have to. Most rental property or small business owners can expect to pay between $500 to $800 for tax preparation which includes August and November financial tune-ups. If you are both a landlord and a business owner, you can expect our fee to be on the higher end of our range. A lot of small business owners and rental property owners miss out on tax deductions for not knowing how to position themselves correctly. For example, deducting travel expenses to and from your rental. Or the optimized way to deduct cell phones, mileage and home offices. For those clients who have a tax-only engagement with us, we offer a lot more than just a tax return. Tax returns are boring. Tax planning including projections and end of year tax moves, is way more valuable to you than 100 pages of industry jargon in some dust-catching PDF aimed at IRS compliance. Wow, that is a long sentence… anyway, in August we offer a tax planning tune-up and later in November we offer an end of year tax consultation. These are complimentary consultations. Sure, you’re paying for it in some fashion with your tax preparation fees above but then again, this is a valuable service that most tax professionals don’t offer. Most of our clients fit into the buckets above however, we have several clients with a ton more going on. We have clients than have over 10+ rentals each. We have day-traders with Schedule D entries that take up 10 pages. We have investors who flip many homes per year. These clients are the minority, not just to the Edwards CPA Group but to the general taxpaying public. But if this is you, we can offer a competitive fee range based on your previous tax returns to give you peace of mind. Our fees always include a joint tax return and if you have a business it includes a State Tax Return, and of course e-Filing (who the heck charges for that anymore?). We can also do a married filing separate analysis to determine the tax benefit if any and alsodetermine how each taxpayer contributed to the tax consequence (for example, for divorcing couples). The Edwards CPA Group is not just a bunch of tax preparers who shuffle some numbers and plop them into a 100-page PDF. We want to help you understand the nuts and bolts of the numbers so together we can leverage more out of your tax returns. How are you affected by AMT? What can be done? What does allowing your child to claim themselves and take education credits do for the “family unit?” What are the rules for making a rental property a primary residence and saving some capital gains tax upon subsequent sale? What about the new Section 199A tax rules? What about cost segregation for your rental properties to accelerate depreciation? Do we call grandma’s house a rental or a second home? IRA versus Roth, and the effects of each. Having said that, we welcome an opportunity to review your tax returns with you, answer any questions you might have, and ensure a comprehensive and accurate tax return is being submitted to the IRS. We never want to stray away from this level of access and customer service. We live in a virtual world, and we use technology as a tool in the tool box, but the Edwards CPA Group never wants to lose focus on our clients’ traditional needs. The Edwards CPA Group are tax and business consultants, not just number crunchers. Anyone can balance a checkbook. Anyone can put the right number in the right blanks. We do much more. 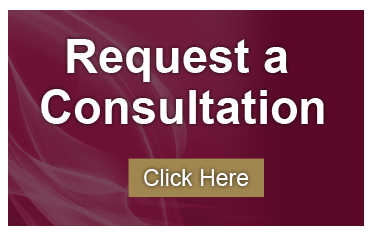 We take a consultative approach to tax preparation. You can always find someone to do it for less- of course however, consider the solid back-end support which you will get with the Edwards CPA Group that other tax preparation companies might not provide. We are your tax preparation experts. We look forward to working with you! Even if you don’t live in New Hampshire, we can still provide excellent service through modern technology and our client portal. Our team is more than willing to travel to you as well.